This is the ever-popular E. Raymond Capt video that provides a new source of light on the 18 missing years (from ages 12 to 30) in the life of Jesus. It conducts an examination of the historical records concerning Joseph of Arimathea who according to legend was the great uncle of Jesus and a provincial senator and metal merchant. 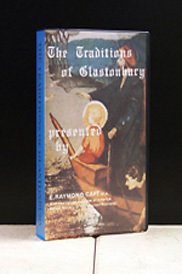 It asks and provides answers to the questions: was Mary the Mother of Jesus buried at Glastonbury in England at the site of the first Christian church in the West? Was King Arthur legendary or factual? Was the famous Nanteos Cup the "Holy Grail" found at Glastonbury actually the Cup of the Last Supper? Treat yourself to a splendid pictorial visit to the site where many of the Faithful believe the boyhood feet of Jesus tread.